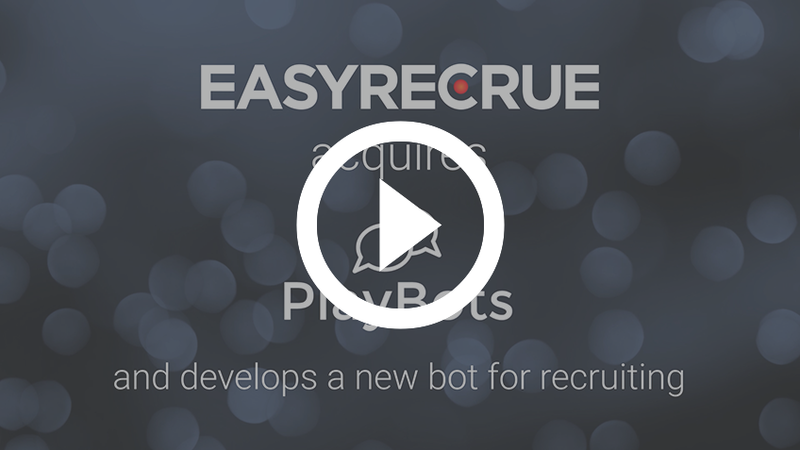 Following on from video interviews and language tests, our range of solutions is therefore now expanding with a new product, the easyRECrue “bot”. The new acquisition helps EASYRECRUE pursue its objective of making life easier for HR teams, by freeing them up from time-consuming activities so that they can concentrate on tasks with high added value from a human perspective. More efficient and perfectly in line with the times, chatbot technology is now just a click away for recruitment professionals, for guiding candidates towards relevant vacancies, receiving and sorting scored applications, video pre-screening and assessment. Three steps in one for a smoother experience for both candidates and recruiters!